The American Hosta Society registered this cultivar on behalf of the originator, Frances Williams of Massachusetts in 1986. 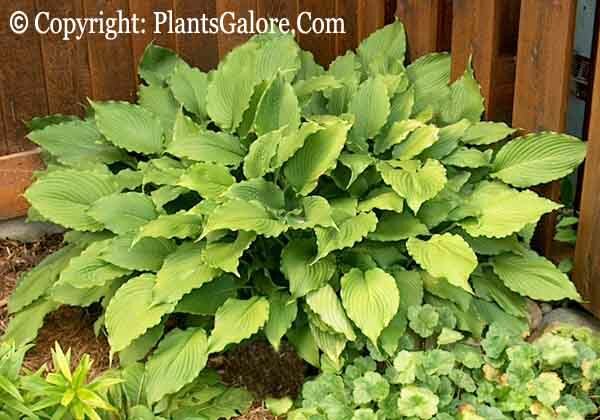 It is a seedling of H. 'Fortunei Gigantea' which forms a giant size (30 inches high) mound of rippled dark green foliage. Many very pale lavender flowers appear in June and July. 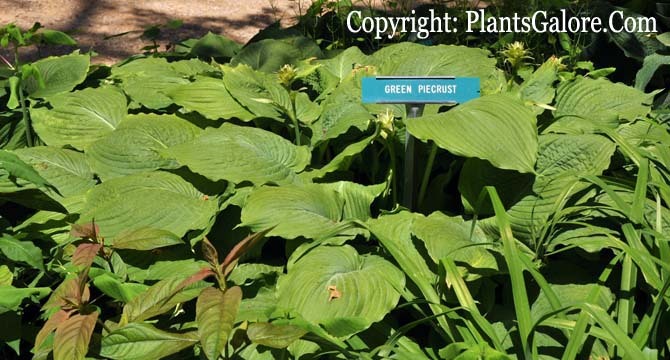 According to The Hostapedia by Mark Zilis (2009), "Frances Williams introduced the term "piecrust" to the world of hostas through 'Green Piecrust'. This characteristic, of course, describes the many ripples along the leaf margin and has become a much desired trait amongst hybridizers."